While recycling at home may be old hat by now, it is important remember that those good habits need to be carried over to the workplace. Depending upon the type of work you do, much of the waste generated during your average work day can be recycled: materials such as office paper, cartridges and ribbons for computers/printers/copiers, corrugated cardboard, glass, metals, plastics, wood, construction and demolition materials, and yard waste. In addition to reducing waste, a comprehensive recycling program also can save your company money through reduced trash fees. This office is available to assist you with employee education initiatives through publications, resource listings, presentations, slide shows, and videos. 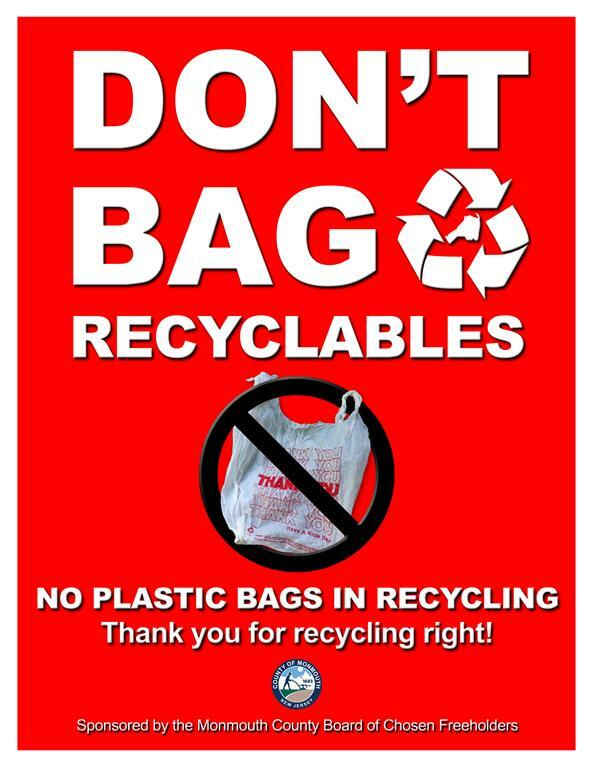 Companies interested in starting or improving a recycling program can contact Monmouth County Recycling at 732-431-7460, or the Monmouth County Solid Waste Enforcement Team at 732-683-8686 ext. 5658. Monmouth County Recycling and the Park System have worked together to develop a Home Composting Demonstration site at Deep Cut Gardens, Red Hill Rd., Middletown. On display are composting units which are both commercially available and home-built so that you can choose the composting system that best suits you. 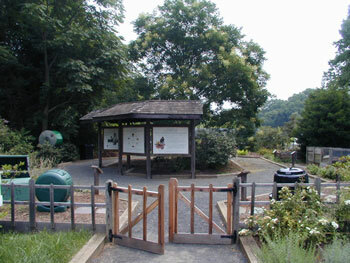 Informational placards and literature tell visitors the unique features of each of the home composting systems on display. The facility also has educational displays and information on backyard composting. Deep Cut Gardens is the horticultural education center of the Monmouth County Park System and is open year round. Call 732-671-6050 for more information or go to the Park System's website. The Monmouth County Recycling Office has trained 49 community volunteers from 27 communities on the benefits of backyard composting. Members of this seasoned group of gardeners and composters, known as Master Composters, are available throughout the county for educational programs. Programs range from home visits, talks and slide shows to demonstrations and school activities. Those interested in utilizing or joining the Master Composters may call the Recycling Office at 732-431-7460.